Thain was born to Lynn & Vera Miskin in Idaho Falls, ID on May 21, 1934. As a child and young man, Thain’s family moved quite frequently as result of His father’s job as an engineer for the Department of the Interior. In fact, he lived in 10 different locations by the time he was five years of age. His longest tenure was Logan, Utah where he lived for eight years prior to moving to Colorado. As a result of their moves, Thain became comfortable meeting new people; he enjoyed meeting the challenges of a new location. He was student body president, lettered in track and wrestling, and graduated with honors from Grand Junction High School in Colorado. After graduating, Thain was called to serve an LDS mission to the North Eastern States where he ardently shared his testimony of his Savior. After he returned from his mission, Thain attended Brigham Young University where he graduated with a B.S. in Accounting. While attending BYU he met and married his eternal sweetheart, Melba Gardner. Upon graduation, Thain became a CPA in 1959 and began work as an accountant. After working in the private sector for several years, he was appointed to be the Financial Director for the Mesa Public School District. 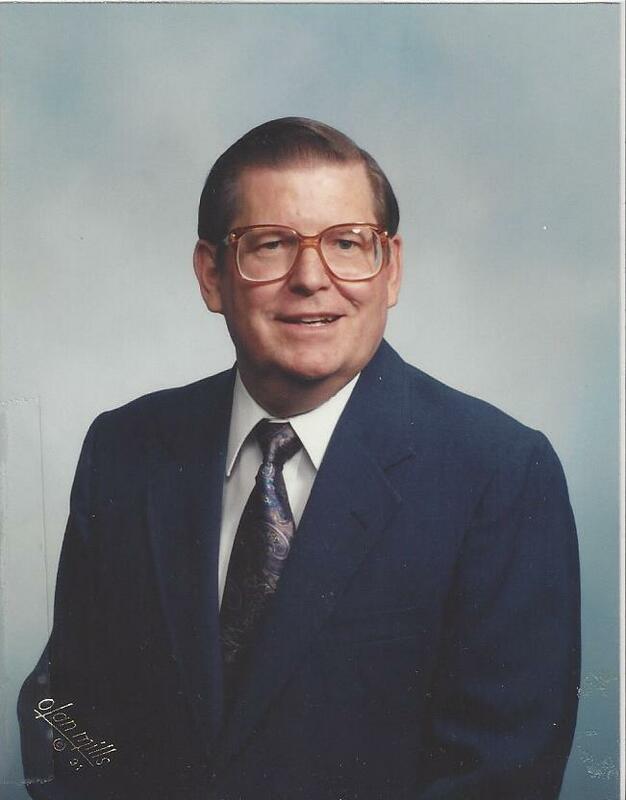 He served as Financial Director for 27 years prior to retiring. While working for MPS, Thain earned numerous awards for his sound fiscal management of an ever-growing school district. Thain’s life was a living example of being a true disciple of Jesus Christ. He was so gracious with others as he shared his testimony of the restoration of the gospel; he was a man without guile. Thain will be remembered for his great love for his faith and family, his quick wit, and his fascination with BYU sports. Thain will be remembered by his wife, Melba, who lovingly cared for him during his years battling Parkinson’s Disease. He is survived by his five children, Lamont Miskin (Marcy), Louise Smith (Brian), Julie Buckley (Steve), Rod Miskin (Karen), and Amy Cook (Lon) along with 19 grandchildren and a growing number of great-grandchildren, currently 23. He is predeceased by his parents and brother, Richard Miskin. Our deepest love goes out to you at this time. We love you all and are so grateful for our visit with Uncle Thain and Aunt Melba in January. It was on a good day for Uncle Thain and we will always remember his sweet smile. Thank you for the nice tribute that you shared with us on Uncle Thain’s life. I learned many things I never knew about this amazing man. He truly lived a life we can all strive to emulate. We love you! The Lynn Yardley family. How we love the Miskin family, our prayers are with you all! Melba, Monty and family. I’m so sorry to hear of your loss. I’ve got lots of happy memories of being in your home as a child. I remember playing Red Rover in your back yard and having meals there. My memories of Thain are of his sweet and gentle nature and of his kindness to this child. May you find peace at this time. Melba, so sorry to hear today of your dear husbands passing on 6 April 2018. The sorrow that accompanies the cycle of life continues, but the joy of reunion, happiness, and life after death overshadows the present pain. God be with you always.